Modvera light bulbs are compatible with many ELV (Electronic Low Voltage) dimmers. Below is a list of approved dimmers that will allow the bulbs to fully dim. 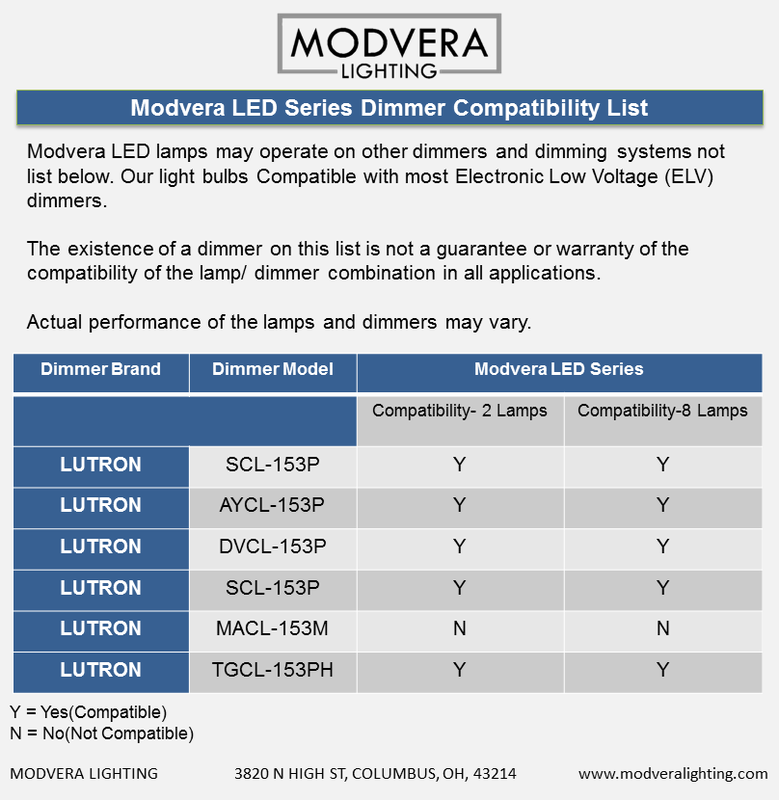 Modvera LED bulbs may operate on other dimmers and dimming systems not listed below. However, the existence of a dimmer on this list is not a guarantee or warranty of the compatibility of the bulb/dimmer combination in all applications. Actual performance of dimmers may vary. Our recommended Dimmer is the LUTRON DIVA LED DIMMER.